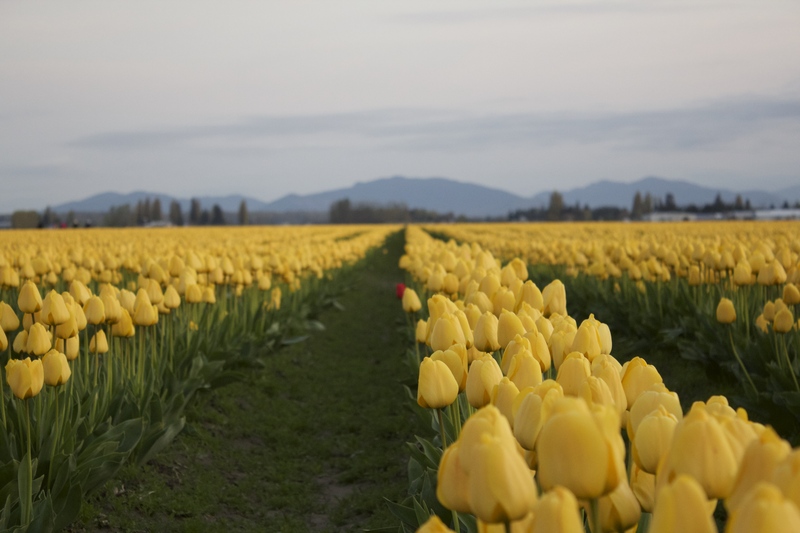 I know I said that I was going to feature Thailand during the month of April, but last weekend, while on my way down to Seattle, I visited the Skagit Valley Tulip Festival. Since the festival only happens during the month of April, and starting earlier or later depending on the tulips, I figured I should write this one up quite quickly. For 2015, the festival started about a week early, and will go until April 30th. Here the workers are cutting the flowers in the early morning hours before the rest of the tourists arrive! 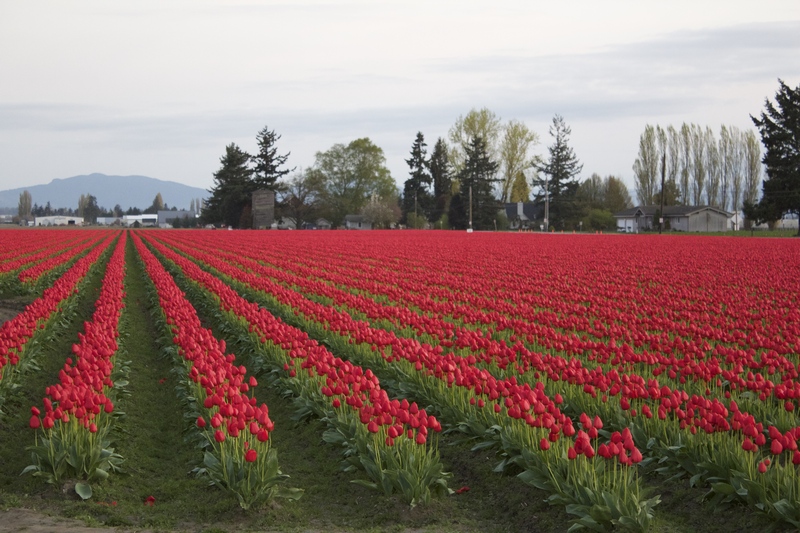 Skagit Valley is exactly halfway between Seattle, WA and Vancouver, BC, and directly off I-5. It gets super busy on the weekends (the freeway exits back up), so it’s best to go early or on weekdays. The show gardens are open from 9am-5pm everyday. There are 2 main show gardens, RoozenGarde and Tulip Town, plus acres of fields to see. This is a driving tour, so you’ll need to pick up a map or download it from their website. Note, it changes every year so you’ll have to make sure you get a new one as the crop fields rotate. You’ll see tulips, daffodils, irises, and even corn. I decided to leave Vancouver super early (4:45am), to arrive just at sunrise (6:41am on April 3rd). None of the show gardens are open then, but I was able to drive around the whole area and occasionally pull off the road for a few photos. This daffodil one below is probably my favourite. 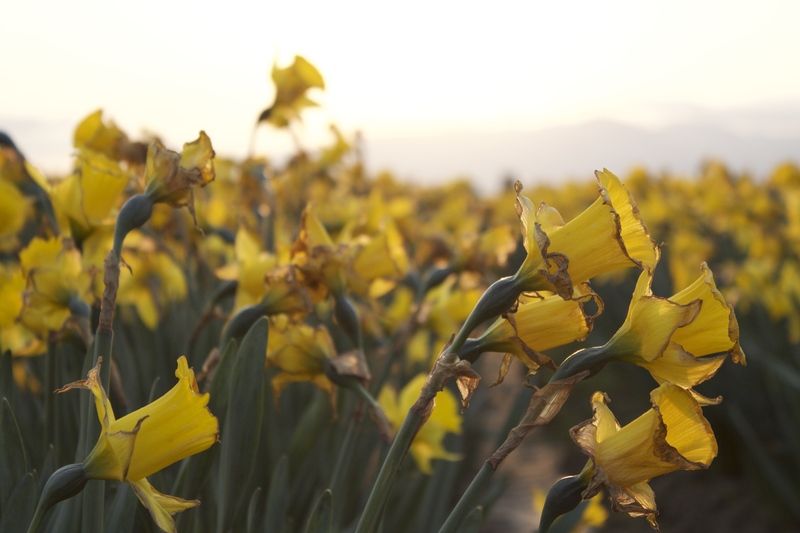 As you can see, the daffodils are almost finished for the season. This photo was taken April 3rd. 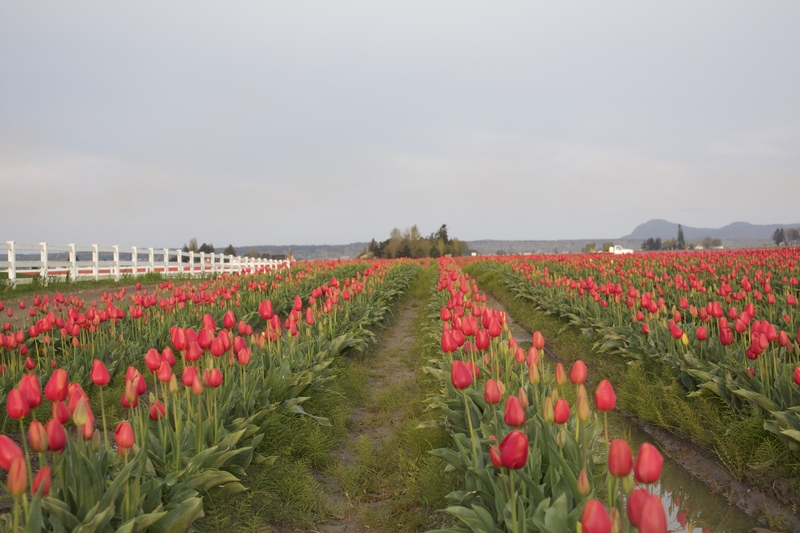 Where: Skagit Valley, exits 221-231 off I-5. Show Gardens: RoozenGarde and Tulip Town. $5 admission, includes free parking. At the show gardens, you can purchase bulbs and buy cut flowers. Open 9am-5pm. Limited parking on the side of the roads – and sheriffs will ticket you!